Mussels are a favorite for seafood lovers', and today in our weekly food segment Chopsticks, the marine mollusk will be prepared with a Chinese flair. It will be cooked paired with black bean sauce, a typical Chinese seasoning. 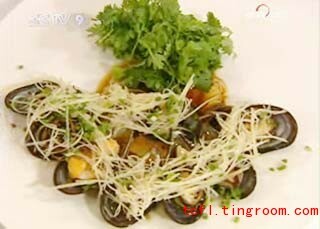 Join us to learn how to cook "Mussels with Shallot and Black Bean Sauce".